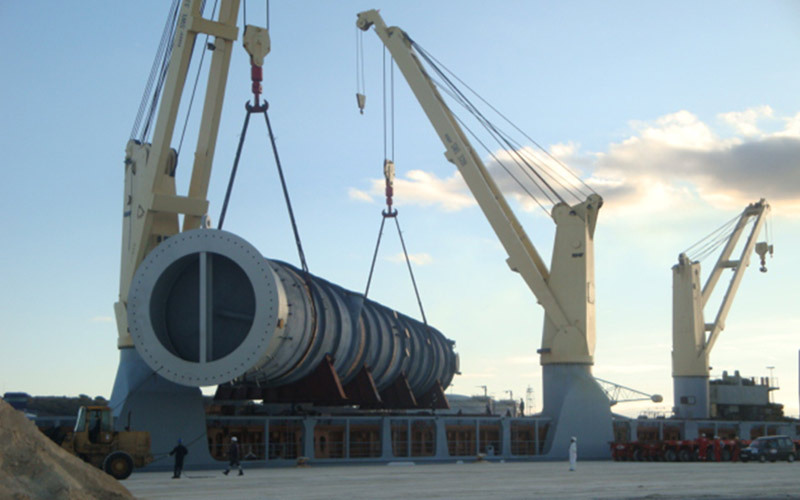 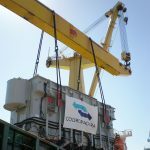 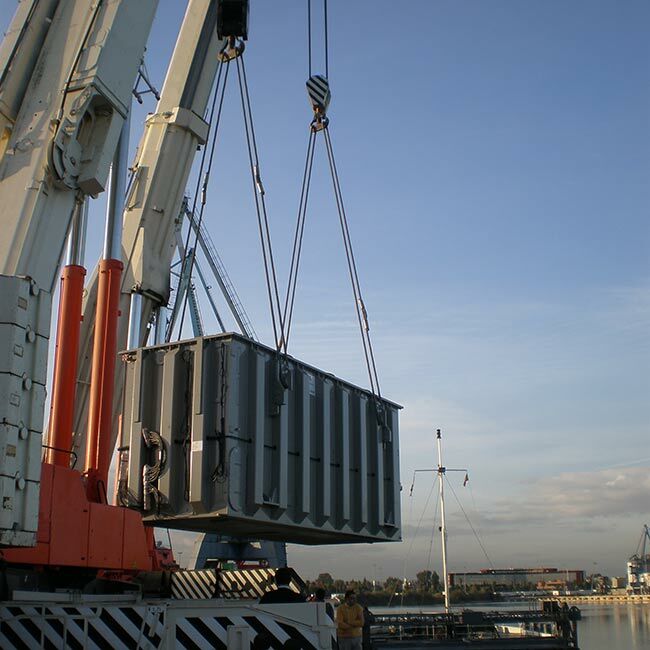 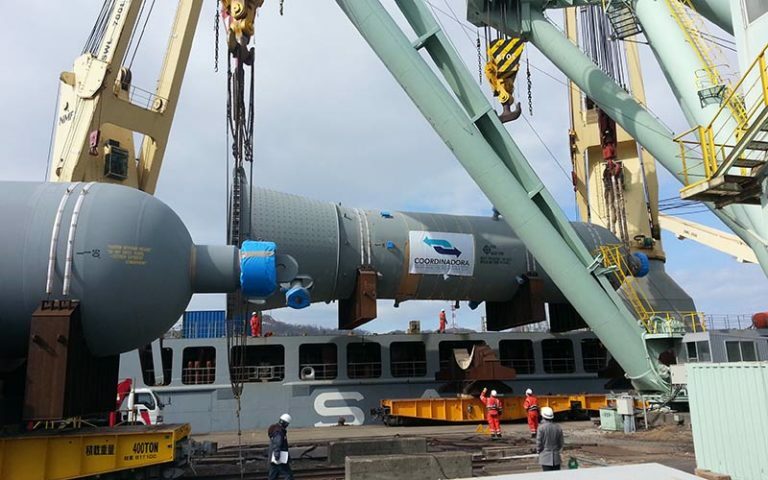 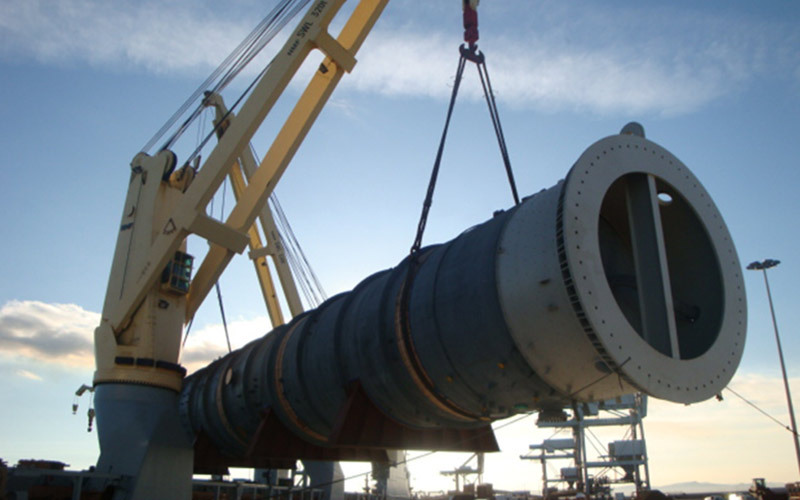 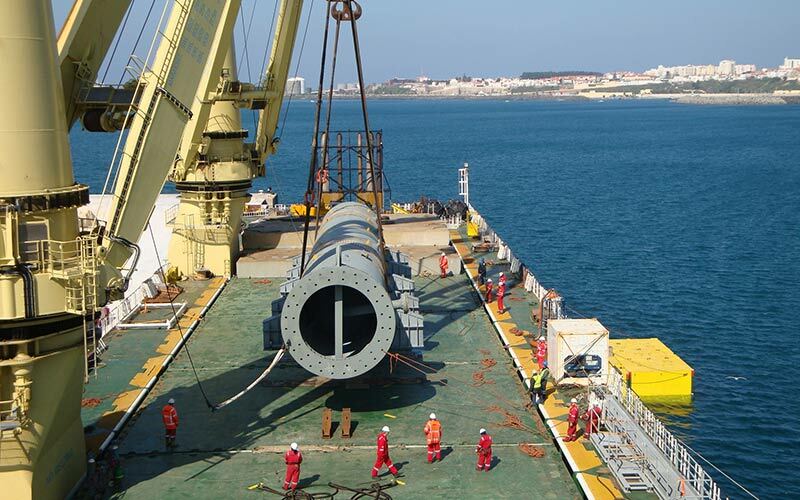 In April 2010, COORDINADORA improved its last record in Heavy Lift transport in an operation that we executed from Marina Di Carrara (Italy) to Sines Refiney (Portugal). 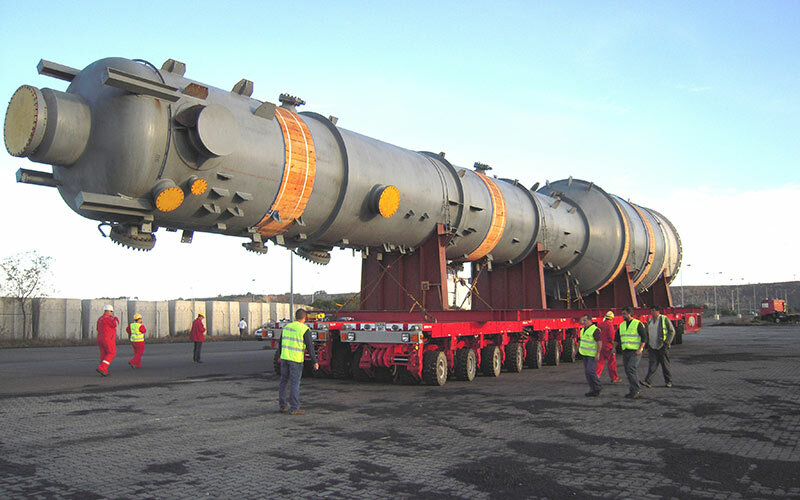 We transported 1 reactor of 1.550 t together with a “smaller” unit of 807 t. The main piece was so heavy that each cradle of the biggest reactor transmitted an average load of 300 t. a factor that was very important on arranging the stowage plan on the vessel and the transport configuration on the land transport vehicle. 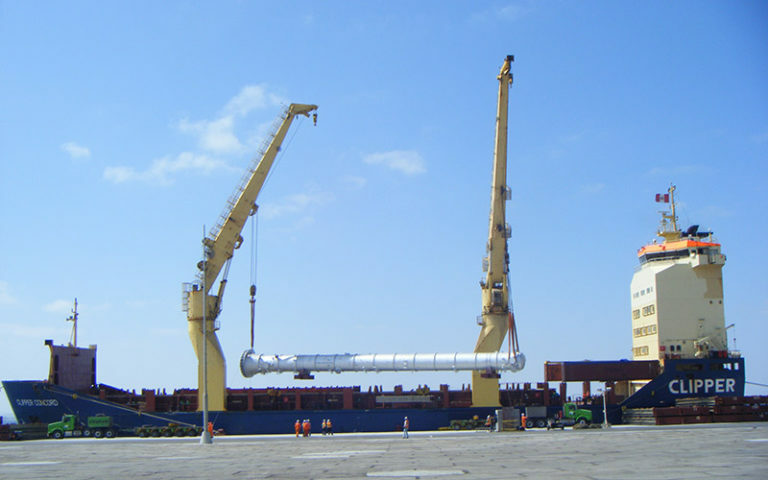 For the ocean transport we chartered the strongest vessel available in the market at the moment, a ship equipped with 2 cranes with a lifting capacity of 900 t each and a total combined capacity of 1.800 t. The vessel was equipped with the latest technology in maritime lifting operations. 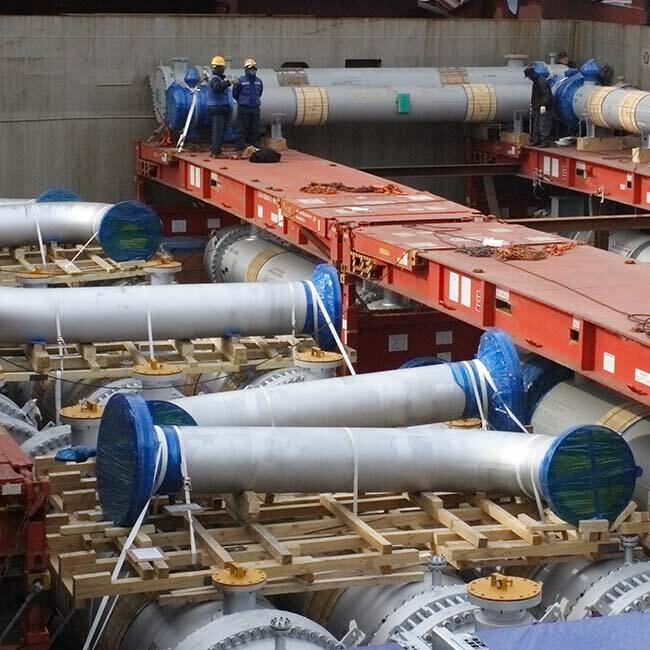 For the road transport a vehicle with 34 double lines was used. 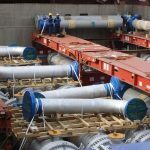 The total transport weight for the biggest reactor, including the vehicle, exceeded 1.900 t which, in turn, transmitted an average load to the ground of 60 t per line. 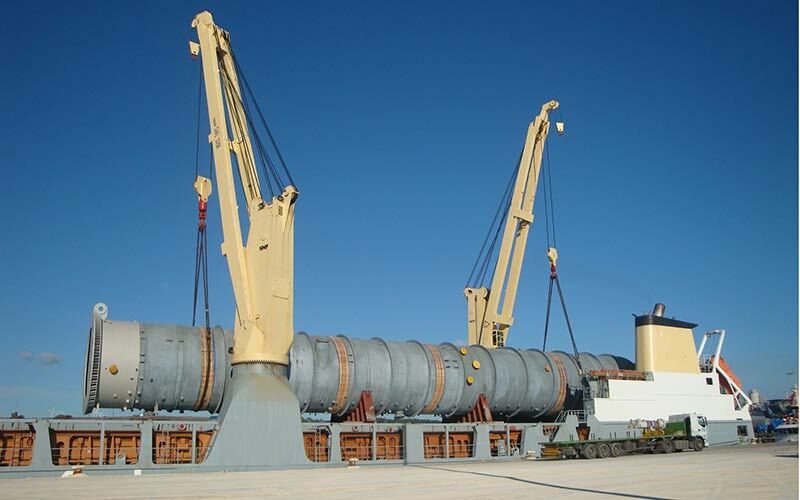 Due to this reason, an alternative road had to be built from the port in Sines to the final delivery place in the refinery.